This coming Sunday, folks from Philadelphia to New York City will gather at Donald Trump's golf course in Bedminster, NJ to protest the U.S. Golf Association for holding the premier women's golf event--the 2017 U.S. Women's Open--on Trump property. Trump has been spending his weekends in his Bedminster golf course, and rumor has it that he will be attending the Women's Open. 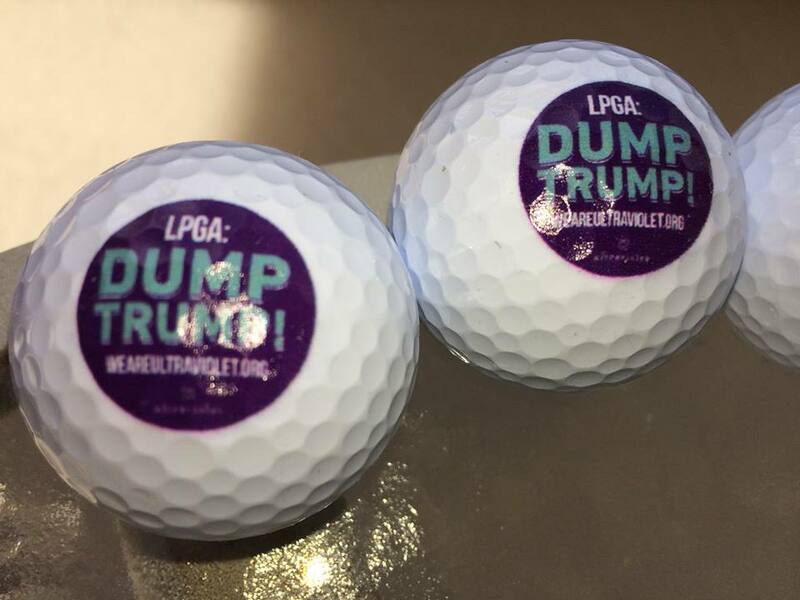 That's why after over 100,000 signed the petition demanding the USGA move the tournament, UltraViolet members and allies like the New Jersey Working Families Party and more will show up on Sunday, July 16, the final day of the Women's Open championship to tell the USGA: "Dump Trump!" Will you join us? After you sign up, someone from our team will contact you for more details about the meeting location. What: Protest against USGA - Dump Trump! The tournament will be broadcast live on Fox and journalists from around the globe will be present. Golf is a sport that has long carried a dubious track record of racism, sexism, and discrimination against people with disabilities--and Donald Trump ran a campaign based on all those things. Holding the U.S. Women's Open is an endorsement of Trump--a racist, sexual predator--to the public. UltraViolet and allies are going to make sure Trump and the USGA feel this protest outside of Trump's beloved golf resort. Can you be part of it?